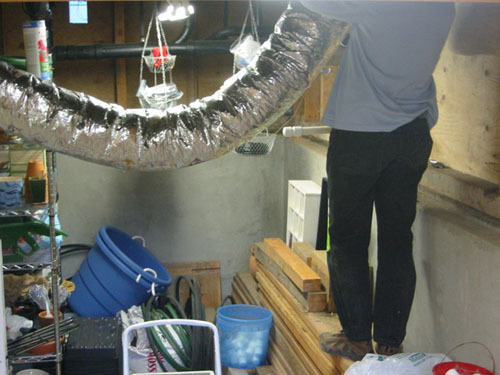 We've been delaying reattaching the duct to the bathroom until it got to the point where it was kind of ridiculous (and chilly, of a morning). So today Noel spent a couple of hours getting it all back in place. 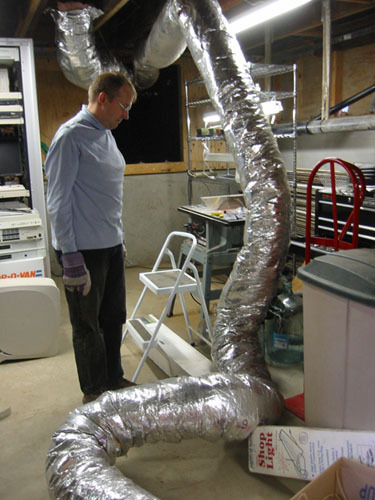 It became apparent that there was a lot of excess duct (it used to have to go around a wall in the old basement configuration). For the most part it was pretty straightforward: lay the duct out, pin it up to the floorboard with plumber's tape, so on and so forth. 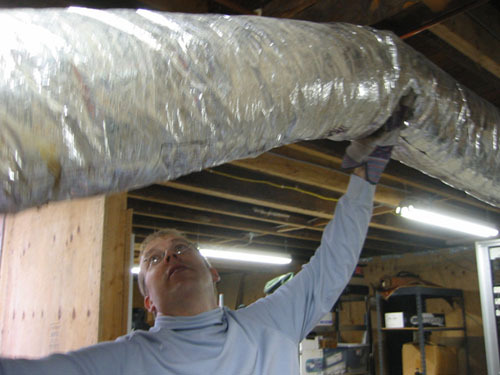 There was a tricky bit at the end of the duct, because the nitwits who installed it had done some stupid stuff with the connection while "fixing" a mistake they made (don't get me started on the heating contractors). But it is now all in place and we have heat in the bathroom! In the meantime, I went through the garden with sword and fire (well, secateurs). 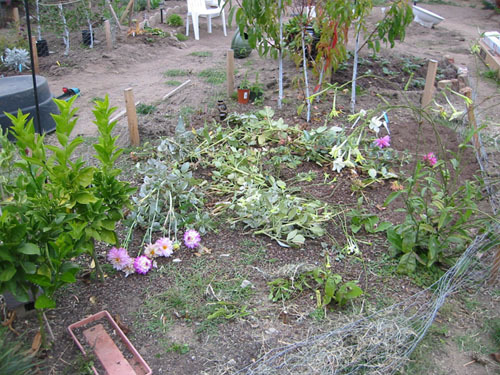 The dahlias were all pooped out so I chopped them down. I left them in place and will mulch over them. I considered chipping them, but they're so fleshy and wet that I don't think that is necessary. 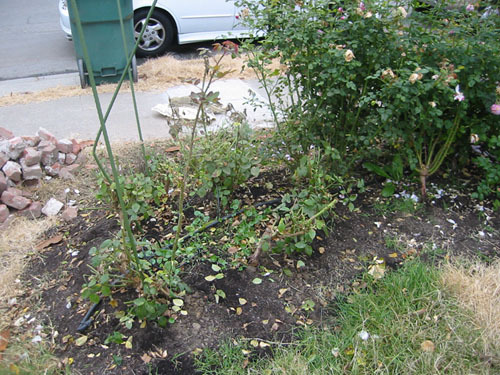 I also chopped down the roses that have a bad rust infection. It seems to have affected only two varieties (St. Cecilia and Geoff Hamilton), because I ended up with a pair of these big gashes in the hedge. This winter I am going to loosen up the spacing in the hedge to get more air in there, and next year I will be spraying early and often. I give in. Roses are high-maintenance and will always be.